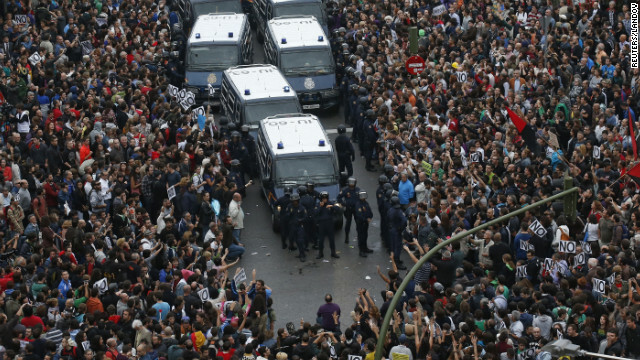 Yesterday, Madrid had massive protests over austerity measures. Today, it’s Greece. Will Ireland follow suit or are they just into suffering? Time will tell but it looks like people will need to get a lot more insistent before the bankers and governmental officials get the point. Austerity and scarcity are artificially constructed situations. What governments haven’t had the guts to do is tell their banker gamblers to take a haircut. And then there’s all those 401Ks that need to be appeased. We brought that on ourselves when we listened to the gamblers and decided to join them at the global casino instead of saving most of our retirement money in nice, boring pensions. You know, the nice boring pensions that our parents retired on and live a nice, comfy lifestyle with a paid for house and a yearly cruise to the Panama Canal? Is that so awful?? No, it is not. But it is certainly not what you’re going to get if the stock market takes another steep, steady dive and fails to recover before you’re old enough to retire. Anyway, the peasants are revolting. Go peasants!